We continue our cover on Season 28 as it ends the year soon but in 2017 new fresh episodes will keep us up! Today, in collaboration with The Springfield Shopper, Wikisimpson‘s blog, we’re going to analyze what we know so far of Season 28 and now Season 29 too! Follow us right after the jump! The following article contains the fifth part of the news, with all the news that come out in the fourth part of 2016 and the first part of 2017. To follow the other posts click here: 2015, 2016 part 1, 2016 part 2, 2016 part 3, 2017 part 2, 2017 part 3, 2017 part 4 and 2018 part 1 and 2018 part 2! For Season 28 updated table please refer to Part 6. We previously reported about Wayne Gretzky appearing in “The Last Traction Hero” as a guest star, but it has been confirmed he’ll appear in the christmas episode “The Nightmare After Krustmas“, the 10th episode of season 28, scheduled to air December 11, 2016. “People argue about a lot of things, but they never argue about who’s the greatest hockey player. It’s always him. I don’t think there is anybody better at anything that Gretzky is as a hockey player. He had a lot of great stories and it was a real pleasure to meet him.” Gretzky recorded his part in the summer. This is the first time a hockey player will guest star in the show. “We had to get permission, and his wife, Colleen, thought it was a great idea to use him in the show. Growing up a big Red Wings fan, there’s nobody bigger than Gordie. Sunday night (November 20) wasn’t exactly a great one for The Simpsons, which fell below the 3m barrier for the first time this season, and for the first time ever in fall. Another compounding fact is it being beaten by Family Guy in the 18-49s, which doesn’t happen usually nowadays. Sunday’s episode, which was third on the night in scripted shows, dropped by 0.1 (in unroundeds) versus the last episode to air without football as a lead-in, to 1.326; it also dropped in audience share to 4%. The episode was seen by 2.876 million viewers (adjusted down marginally, from 2.889m in the preliminaries), the lowest so far this season. Both ratings are the lowest ever for any original episode airing in fall. Sunday’s episode reportedly had a 58% 18-49 skew. The equivalent episode last year was boosted by football so no fair comparison can be made. The current season average is 1.99/6.5 with 4.56m; excluding episodes with a football lead-in, it is 1.43/4.8 with 3.84m. By Sunday’s equivalent episode last year, the season average was 2.0/6 with 4.6m; excluding football-boosted episodes it is 1.55/4.75 with 3.44m. Judging by this, ‘Simpsons’ is on par with last season so far, with less younger viewers but more viewers overall for non-football-boosted episodes this season. Family Guy had fewer viewers this week, at 2.735m, but beat The Simpsons, at 1.358, but had the same audience share of 4% and was also second in scripted shows among 18-49s to NCIS: Los Angeles (1.5/4) on a football-inflated CBS. FOX’s schedule elsewhere was buoyed by two Bob’s Burgers instead of one and the less retentive Son of Zorn, with a 1.063/3 and 2.345m and 1.150/4 and 2.462m respectively. Opposite, the American Music Awards on ABC was The Simpsons‘ bane, however, it dropped by a substantial 1.1 year-on-year, to an average of 2.4/7 and 8.182m. Additionally, mainstay Sunday Night Football on NBC continued riding high (in respect to the other shows on US TV at the moment) with 6.2/19 and 18.729m. Elsewhere, 14.891m were tuned into football-boosted CBS for 60 Minutes which scored a 2.6/8. 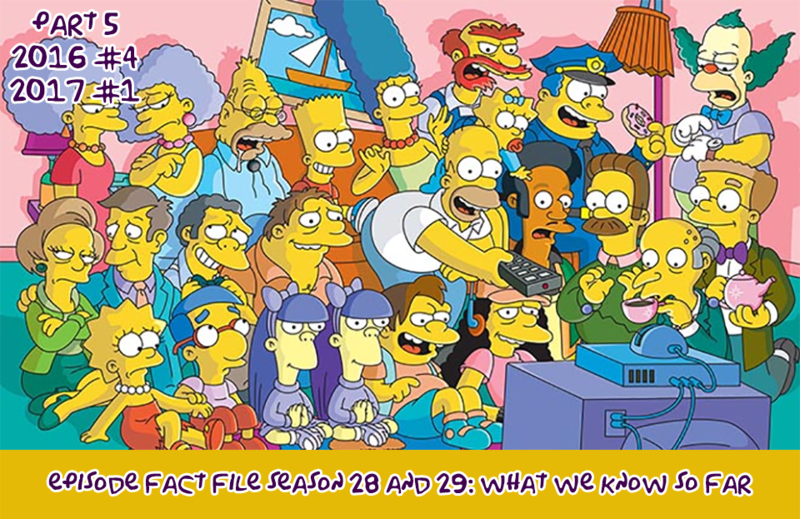 Overall, The Simpsons was opposite a sizeable 30 million over the other broadcast networks, a few million up on usual. It seems The Simpsons was the show that got squeezed out. In catch-up news, last week’s Cuba-centred episode tacked on 0.2 (6% of its original 3.1) to a 3.3 rating after 3 days of catch-up, to become seventh overall in programmes of the week ending November 13 after three days of catch-up viewing, and was second on FOX, to Empire on FOX (which gained 1.2 in catch-up to 4.1). I’ll be back the Tuesday after next to see if Homer’s litigation battle with Mr. Burns can park more bums on seats. UPDATED 29th December 2016 to include previously excluded unrounded final numbers. Season 28 News: A new episode title has been released! A new script has revealed a new episode title: Grampy Can Ya Hear Me, production code WABF19! Season 28 News: Four Promotional Images for “The Last Traction Hero” have been released! Four Promotional Images for the upcoming 9th episode of season 28, titled “The Last Traction Hero“, have been released by FOX. The episodes airs on December 4, 2016. Season 29 News: Season 29’s Production Code Revealed! Music Editor Chris Ledesma has confirmed on Twitter that the production codes for the twenty-ninth production season will be XABFxx, and the production will begin March 2nd! Season 28 News: Two Sneak Peeks for “The Last Traction Hero” have been released! Two Sneak Peeks for the upcoming 9th episode of season 28, titled “The Last Traction Hero“, have been released by FOX. The episodes airs on December 4, 2016. I think FOX were strategic in scheduling two weeks straight of ‘Simpsons’ after football, in the hopes of it catching more viewers for later in the season. We’ll just have to see after the LONG gap for Christmas that is sure to kill all those additional viewers off. Not literally; hopefully it’s not going to be THAT cold. At least that’ll leave any thoughts the show will dip into low 1s and below 3 million viewers again for the year (in original eps) out of mind. Sunday, December 4’s affair-cusping episode saw just under 6 million stick around with 5.772 million watching (down from 5.849 million in the preliminaries) and posting the season’s fourth rating over a 2.0, with 2.4/7 (was 2.368/7 in prelims, likely to be above 2.35 to two decimal places). Although, despite the high figure, it was the season’s lowest football-boosted episode so far, likely due to the lower rating for lead-in programme The OT (4.2/14 and 12.18m compared to its previous 6.7/21 and 18.557m on November 13th). At expected, it was up from the season low of 1.3/4 and 2.876 two weeks ago. The Simpsons was the night’s top scripted show in 18-49s, the second being Family Guy, regaining its crown above FG after a blip last time both aired originals. The episode tied ninth in the most-watched shows by 18-49s for the week, and reportedly had a 53% skew of that audience. The equivalent episode last year was also boosted by football, with 2.3/7 and 5.528 million, meaning this year’s episode is up on that. Sunday’s rating helped the season average scoot back above a 2 to 2.03/6.5 (keeping the same share), and 4.697 million viewers, compared with the average by the equivalent episode last season (when eight had been broadcast), with 2.04/6.1 and 4.713 million viewers. Basically, “The Simpsons” is on par by this point last season. The improved Simpsons didn’t do much for Son of Zorn posting a low, but albeit, up 1.3/4 and 3.159m. Family Guy saw a nice boost to 1.6/5, with 3.433m, and The Last Man on Earth gained slightly as well to 1.1/3 and 2.477m. Opposite ‘Simpsons’ there was around 21 million watching on other networks, lower than usual and down significantly from last week. The highest rated show on American TV that might was, expectedly, football; Sunday Night Football on NBC to be specific, which, from 8:30-11:45pm, scored a 6.1/19 rating and 17.75 million viewers. See you next Tuesday for analysis of the numbers from the last original episode before Christmas, and the last ratings analysis of 2016 (or penultimate, hint, hint. Actually, I don’t see how that’s a hint – it doesn’t give away much.). A Teaser for the upcoming 10th episode of season 28, titled “The Nightmare After Krustmas“, has been released by FOX. The episode airs December 11, 2016, the last episode of 2016! Season 28 News: Nine Promotional Images for “The Nightmare After Krustmas” have been released! Nine Promotional Images for the upcoming 10th episode of season 28, titled “The Nightmare After Krustmas“, have been released by FOX. The episodes airs on December 11, 2016. Season 28 News: Two Sneak Peeks for “The Nightmare After Krustmas” have been released! Two Sneak Peeks for the upcoming 10th episode of season 28, titled “The Nightmare After Krustmas“, have been released by FOX. The episodes airs on December 11, 2016. Season 28 News: A new episode title has been released and a new writer for The Great Phatsby has been announced! 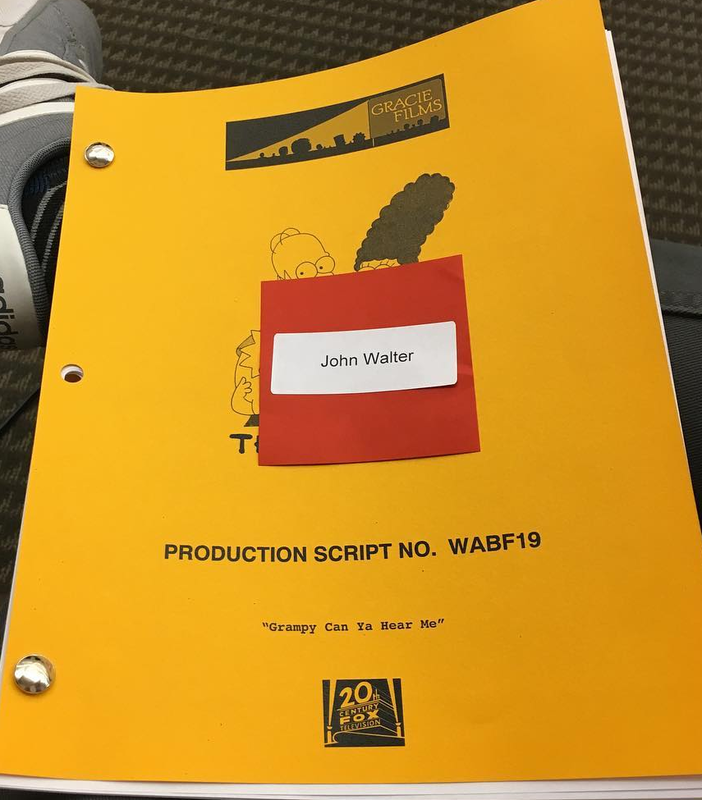 A new script has revealed a new episode title: Springfield Splendor, production code WABF22! The writers have also been announced: Tim Long and Miranda Thompson! Another writer for The Great Phatsby Part One and Part Two has been announced too: Matt Selman! Season 28 News: A new Special Guest Star for “The Nightmare After Krustmas” has been announced! A new Special Guest Star for the upcoming 10th episode of season 28, titled “The Nightmare After Krustmas“, has been announced: Theo Jansen will voice himself. The episodes airs tonight! Season 28 News: A new episode title has been announced! 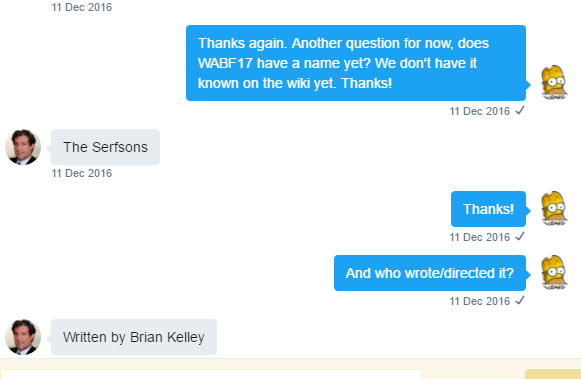 The last, missing, episode title of the WABF production series (Season 28‘s), has been announced: The Serfsons, production code WABF17, written by Brian Kelley! 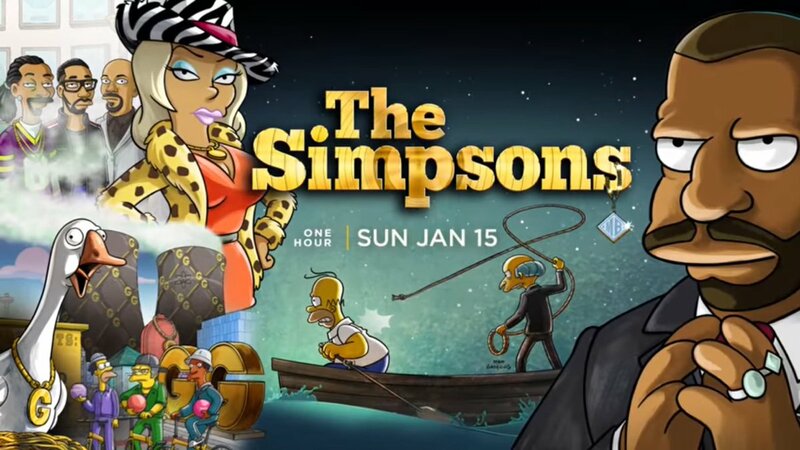 ‘Simpsons’ brought some Christmas cheer to FOX on Sunday night, alongside the high football overrun (5.0) and analysis programme (3.9), as it was the top-rated scripted show of the night. Although, that Christmas cheer soon became diluted thanks to the new live-action/animated hybrid. In the preliminaries, it was looking exciting to be having not just a show be even week-on-week, but also year-on-year. Unfortunately, it had to adjust down in the finals, didn’t it, but the stability is encouraging. Despite the fact all three episodes we’re talking about here were boosted by football and this audience gain will be wiped out by the time Simpsons returns in January without football backup. Sunday, December 11’s Christmas-themed, daughter-reuniting episode scored a 2.3/8 rating while entertaining 5.596 million viewers, down from last week’s 2.4 and 5.772 million, and more so in viewers from last year‘s 2.4 and 5.970 million. In whole audience share, however, Sunday’s episode was up a percent from last week and last year. All three episodes fell from the viewer numbers in preliminary figures. Sunday’s episode ranked seventh in the most-watched broadcast shows of the week ending December 11th in 18-49s, with 3.011 million viewers in that age bracket. The slightly reduced audience may have been due to the lessened number watching the football overrun and therefore there being fewer sticking around for the post-analysis show The OT, both of which declined 0.3 week-on-week, with the former losing 21,000 viewers and the latter 286,000. Currently the season average is 2.06/6.7 and 4.784 million viewers. By this point last year, it was 2.07/6.2 and 4.852 million. Once again, the show is irritatingly just short of last year’s average by the Christmas break, but it is clear to see the number of Americans watching TV has decreased – the show has declined marginally in viewers yet has increased marginally in audience share. 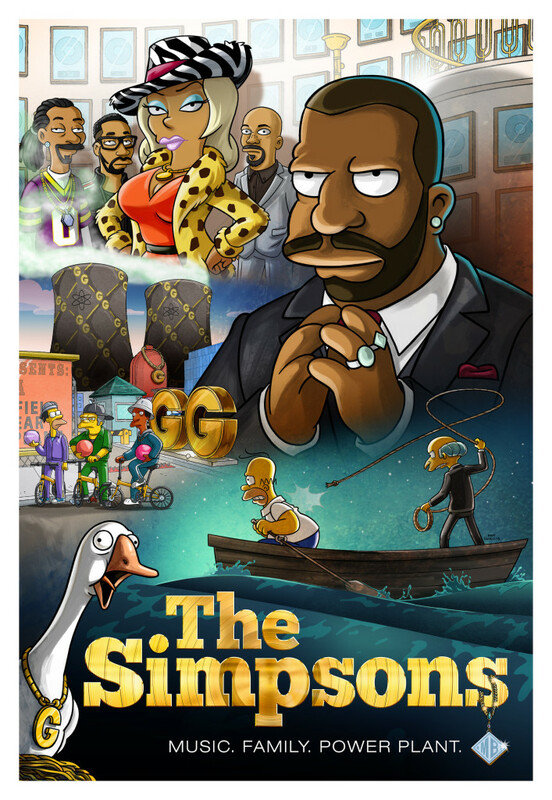 At the moment, “The Simpsons”, is, on average, FOX’s second-highest scripted show, below “Empire”. That’s got to be something after nearly 27 years (anniversary this Saturday). The only other show on FOX to stay above the now-notable 3m barrier was Family Guy, with 3.047m and a 1.4/4. Son of Zorn continued its low retention rate, taking a chunk out of the NFL boost FOX received and The Simpsons inherited, on Sunday night losing 47.83% of Simpsons‘ 18-49 share and 48.61% of its viewers to just 1.2/4 and 2.876 million. Opposite ‘Simpsons’ was an increased audience of 26-29 million viewers from last week’s ~21 million, and despite competition from ‘Frozen’, the second highest non-sport show of the night in 18-49s, Simpsons still came on top in scripted shows (in 18-49s, of course), coming third in scripted shows in viewers. The largest audience of the night on US TV was the 8.7/26 and 26.499 million who tuned in to watch Sunday Night Football on NBC. Meanwhile, in Live+3 ratings for the week ending December 4th, “The Simpsons” gained 0.2 (8% of its 2.4 Live+Same Day audience), to reach a 2.6 rating and tie eighth in the most-watched broadcast shows by 18-49s that week. Barring one occasion this season, “The Simpsons” only makes it into the Live+3 Top 25 chart when football precedes it. It came third for Fox’s most-watched shows in 18-49s for the week, under “Empire” (4.0) and just under “College FB – Top Ten Championship” (2.7). The next ratings analysis will come on what is looking like 10th January, scrutinising the numbers for the show’s first hour-long extravaganza on January 8th (excluding that Morgan Spurlock hour-long 20th anniversary thing, of course). To be confirmed. the first new episode of the year, which sees the return of Spider-Pig. Season 28 News: Three new Special Guest Stars announced for “The Great Phatsby”! Three new Special Guest Stars for the upcoming 1 hour special episode of season 28, split in two parts, titled “The Great Phatsby: Part One” and “The Great Phatsby: Part Two“, have been announced. The episodes air in January, 2017. Entertainment Weekly has released the news: the great cast of the two-parter first ever one hour episode of the show expands. After announcing Taraji P. Henson (as Praline) and Keegan-Michael Key (as Jazzy James), three new special guest have been announced: Snoop Dogg, RZA and Common, all voicing themself! The synopsis, air date and a Special Guest for the upcoming 11th episode of season 28, titled “Pork and Burns“, have been announced. In the episode, Marge is inspired by a Japanese book on minimalism. According to the synopsis, the episode will also see the return of Spider Pig. Also returning as special guest is Joyce Carol Oates. The episode will air on January 8th, 2017. It’s currently unknown if it’ll be preceeded on January 1st by the 1 hour special “The Great Phatsby”. The synopsis for the upcoming episodes of season 28, titled “Looking for Mr. Goodbart” and “The Cad and the Hat“, have been announced. Homer and Lisa get addicted to Pokémon GO and wind up spending a lot of loot on Pokémon extras, but Lisa takes the rap for Homer and it starts to make her very upset. Meanwhile, Bart plays his own game — except he’s making money, not spending it. Bart goes up to elderly women with no grandchildren and pretends to be their grandchildren in exchange for toys and gifts and cards with five dollars in them. Patton Oswalt will be Bart’s guilt dealing with him being mean to Lisa. The writer for the upcoming 11th episode of season 28, titled “Pork and Burns“, has been announced. The episode airs on January 8, 2017. Season 28 News: The scheduled air date for “The Great Phatsby” has been announced! The scheduled air date for the upcoming 1 hour special episode of season 28, split in two parts, titled “The Great Phatsby: Part One” and “The Great Phatsby: Part Two“, has been announced. The episodes airs on January 15, 2017. OK. So no repeat of Havana Wild Weekend on 1/15. Thank you so much! Season 28 News: The official air date for “Pork and Burns” and “The Great Phatsby” have been announced! The official air dates for the upcoming 11th episode and the 1 hour special episode (12th and 13th) of season 28, titled “Pork and Burns“, “The Great Phatsby: Part One” and “The Great Phatsby: Part Two“, have been announced. The episodes air on January 8 and 15, 2017. Season 28 News: The first teaser for “The Great Phatsby” has been released! The first teaser for the upcoming 1 hour special episode of season 28, split in two parts, titled “The Great Phatsby: Part One” and “The Great Phatsby: Part Two“, has been released. The episodes airs on January 15, 2017. The preview, released by tvweb, shows Keegan-Michael Key, in a behind the scenes of the recording sessions, and his character Jazzy James. A Teaser for the upcoming 11th episode of season 28, titled “Pork and Burns“, has been released. The episode airs on January 8, 2017. The official plot for the upcoming 1 hour special episode of season 28, split in two parts, titled “The Great Phatsby: Part One” and “The Great Phatsby: Part Two“, has been released. The episodes airs on January 15, 2017. Mr. Burns tries to relive his glory days, and crosses paths with a mysterious music mogul. After being conned by him and reduced to bankruptcy, Mr. Burns seeks revenge on the music producer with the help of Homer, Bart, rapper Jazzy James and the mogul’s ex-wife, Praline. Also, Lisa is courted by the richest kid in town, Smithers begins a perilous journey and Marge opens an obscure boutique store. A second teaser for the upcoming 1 hour special episode of season 28, split in two parts, titled “The Great Phatsby: Part One” and “The Great Phatsby: Part Two“, has been released. The episodes airs on January 15, 2017. A new Teaser for the upcoming 11th episode of season 28, titled “Pork and Burns“, has been released. The episode airs on January 8, 2017. The teaser includes Sunday’s Fox other shows too. Season 28 News: Four Promotional Images for “Pork and Burns” have been released! Four Promotional Images for the upcoming 11th episode of season 28, titled “Pork and Burns“, have been released. The episode airs on January 8, 2017. Six Promotional Images for the upcoming 1 hour special episode of season 28, split in two parts, titled “The Great Phatsby: Part One” and “The Great Phatsby: Part Two“, have been released. The episodes airs on January 15, 2017. A new Teaser for the upcoming 1 hour special episode of season 28, split in two parts, titled “The Great Phatsby: Part One” and “The Great Phatsby: Part Two“, have been released. The episodes airs on January 15, 2017. A new Promotional Image for the upcoming 1 hour special episode of season 28, split in two parts, titled “The Great Phatsby: Part One” and “The Great Phatsby: Part Two“, has been released. The episodes airs on January 15, 2017. A tale of one man and his pig brought The Simpsons above eight million viewers for the first time in a year, and FOX as a whole held up well against the mighty Golden Globes, but its might couldn’t top the night. 2017 got off to a good start for The Simpsons as, excluding sports and the Golden Globes, Sunday night’s episode, delayed by 10 minutes due to football overrun, was the highest rated show on the night, scoring 3.5/11, the third time this season the show’s had an 18-49 rating beginning with 3, but also the highest demo rating for the show since the 3.6 (3.595) “Teenage Mutant Milk-Caused Hurdles” had on January 10 last year – the equivalent episode last season. In viewership, “Pork and Burns” had 8.187 million tuned in – also the highest since “Hurdles” with 8.332 million. In share, however, it beat “Hurdles” – 11% to 10%. “Pork and Burns” added 1.2 from the last episode, and 2.591 million viewers. Both Sunday’s episode and “Hurdles” had high-rated football overruns preceding it – the reason for the high ratings both episodes experienced, with the latter’s overrun at 38.85 million and the former’s around 30 million. Sunday’s episode had a 55% skew in the 18-49 demographic, higher than usual; 4.438 million of the show’s audience were in that demographic, leading to the episode coming sixth for the most-watched show in the 18-49 demographic that week (second in scripted shows). This brings the season average, so far, to 2.18*/6.9 and 5.096 million viewers. By this point last season, the average was 2.209/6.5 and 5.128 million viewers. We’re still neck-and-neck with last season, down in 18-49s and in viewers but up share (suggesting there’s fewer viewers around), however, so far this season, we’ve had three (and is likely to be only three going forward into lower spring ratings) episodes above a 3.0. Last season there was only one, the aforementioned “Hurdles”. Elsewhere on FOX, Son of Zorn once again showed its magical retention-losing powers – despite being boosted to a season high of 1.8 (in its regular timeslot, excluding its 2.4/8, 6.13m out-of-slot preview) and achieving 4.263 million viewers, it still lost 47.93% of The Simpsons‘ viewers and almost halved in 18-49 ratings. Family Guy also had a 1.8 rating but lost viewers to 3.996 million, with it and “Zorn” having the same shares with 6%. Bob’s Burgers rounded off FOX’s late-running night with a 1.5/5 and 3.581 million. The “Golden Globes” averaged 20.016 million across its timeslot, with a 5.6 rating in 18-49s and a 17% share of the total audience. Overall, “The Simpsons” had around 40 million viewers on the other three broadcast networks to compete with – much higher than usual, so a good turnout. Fox’s football overrun had the night’s highest audience, however, with an average of 28.416 million over a four minute period from 7:58pm, which had a massive 9.4 rating to go along with it (there is a higher figure for the 7pm-8:10pm slot available, but this isn’t adjusted from the prelims so am not quoting it). Without the Golden Globes as competition, ergo NBC’s line-up rating lesser, there is a chance “The Simpsons” could’ve been one to two million higher and maybe in the 4s for its demo rating. Onto catch-up news now, and December’s Krustmassy episode posted a 2.6 rating after three days of catch-up, gaining 0.3 (13%) from its original 2.3 rating. That made the episode sixth for broadcast shows in 18-49 ratings in the week ending December 11, 2016. A nice end to the year. FOX will be hoping for a similar figure for next week’s hour-long episode – and they’re bound to get a good one anyway, with the always reliable football lead-in. For any UK fans out there, Season 28 launched on Sunday at 6pm on Sky1 with a double-bill; its second episode, “Friends and Family“, was seen by 583,000 viewers, around double what Sky1 usually gets in that slot, and on par with previous Simpsons returns. The first episode had under 485,000, although the figure was likely to be within a hundred thousand below that. A Poster and Behind the scenes for the upcoming 1 hour special episode of season 28, split in two parts, titled “The Great Phatsby: Part One” and “The Great Phatsby: Part Two“, has been released. The episodes airs on January 15, 2017. Two new Promotional Images for the upcoming 1 hour special episode of season 28, split in two parts, titled “The Great Phatsby: Part One” and “The Great Phatsby: Part Two“, have been released. The episodes airs on January 15, 2017. Many Sneak Peeks have been added, to the previously released ones, in the last 24 hours for the upcoming 1 hour special episode of season 28, split in two parts, titled “The Great Phatsby: Part One” and “The Great Phatsby: Part Two“. The episodes airs on January 15, 2017. In this post we’re going to collect all the videos. Two behind the scenes interviews with Matt Selman for the upcoming 1 hour special episode of season 28, split in two parts, titled “The Great Phatsby: Part One” and “The Great Phatsby: Part Two“, have been released. The episodes airs on January 15, 2017. In the article they also added a special preview: Jim Beanz’s version of the theme song! A behind the scenes interview with music composer Jim Beanz for the upcoming 1 hour special episode of season 28, split in two parts, titled “The Great Phatsby: Part One” and “The Great Phatsby: Part Two“, have been released. The episodes airs on January 15, 2017. The hour-long Simpsons was probably always set to be the top scripted show last Sunday night (January 15), with its high football lead-in, although it’s football opposition and the effect it would have on the landmark episode wasn’t conceived until the airdate itself. Despite the circumstances being less than ideal, The Simpsons still performed above-average on Sunday. 6.901m saw the 14-minute delayed episode, and scored a 2.8/8 rating, the highest-rated show on the night excluding sports, but fell away from FOX’s football lead-in. Considering NBC’s widely-seen football build-up and game itself, Homer and the gang conjured up a competitive feat. The episode was the fourth most-watched broadcast show in 18-49s of the week (the most-watched on FOX), with 3.566 million of its viewers being in that demographic; the episode was ranked twenty-second in most-watched shows of the week in overall viewership. TVByTheNumbers reports an enormous 13.9/41 and 44.97 million average for the FOX football between 7pm and 8:14pm, while ShowBuzzDaily posted a huge 9.9 rating, and a 28.86 million audience across the six minute telecast from 8:08pm, and 38.752 million and a 13.1 figure for a four minute overrun segment from 8:04pm, the most-watched show of the night in viewers and 18-49s. NBC’s “Football Night in America” averaged a 2.1/7 rating and 7.07 million in a telecast from 7:30pm to 8:20pm; the period from 7:30pm to 8:11pm had an average of 1.0 and 3.559 million viewers, with a 7.1 and 23.077 million average from 8:11pm to 8:20pm – eating into The Simpsons viewers who may have switched to NBC as FOX’s football ran late. A 12.0/35 and 37.113 million average was attained for the football game itself from 8:20pm-11:19pm. Even the writer of part two of the episode and showrunner Matt Selman, complained on Twitter about the NBC opposition, posting “The ratings for this show would’ve been so huge if not for the ice storm moving the KC-PITT game to 8:20 EST. (SIGH)” (tweet no longer available). Chris Ledesma, a member of the show’s music department, quoted the tweet and lamented on the “Months of prep and weeks of anticipation upset by the weather in the Midwest”. In any case, The Simpsons lost quite a bit of its football lead-in. Considering NBC’s also huge football build-up and game itself, Homer and the gang conjured up a competitive feat, and its 2.8 figure is still good despite being down 0.7 from the previous episode. Sunday’s episode was up from the equivalent episode last year, which had 1.8/5 and 3.95 million viewers – but, with that episode having had no football lead-in, it would be unfair to compare. Sunday’s episode also had a 52% 18-49 skew, down from last year’s 58%. With Sunday’s rating, this brings the season average to 2.23/6.9 and 5.246 million viewers. By this point last season, the average was 2.34/6.4 and 5.03 million viewers. This season is up in viewers and share, but is still down in 18-49s; now beating last season in viewership is most likely due to Sunday’s episode adding a high figure into the equation, which the equivalent episode last year didn’t have. As aforementioned, despite the football being high for FOX, the audience had fallen by shy of ten million from the 8:04pm programme average to the 8:08pm programme average, with The Simpsons averaging 22 million less than the 8:08pm show. Despite the large drop for The Simpsons, it is entirely possible it fell through its broadcast, due to many choosing and switching to the football, and the show may have been damaged due to its late start. The episode may reach a 3.0 rating in catch-up, although it isn’t known for The Simpsons to gain more than 0.3 after three days of catch-up viewing – FOX will be somewhat disappointed with the lower-than-expected numbers (due to the unforeseen football match moved into primetime) and be hoping those who abandoned the show for football due to the late start time will watch on catch-up, considering the effort in promotion put in for the episode resulted in a figure lower than the previous non-special episode. Among the targeted 18-49 demographic, Fox held up best against the NBC-won night, with all shows above the 1.0 barrier, something other networks couldn’t say, with ABC below it all evening and CBS peaking at 1.0 with NCIS: LA. In viewers against NBC, CBS was strongest, with only one show below seven million viewers – all of ABC’s shows being far below that number. The rest of FOX’s line-up performed OK, with a one-off The Mick doing well with a 1.7/5 and 4.088 million (although this didn’t do anything for the normal Tuesday episode, which declined slightly (from its previous Tuesday episode) to 1.1/4 and 2.727 million – both of these figures are prelimary as of writing), and Family Guy didn’t have much of a boost with a 1.4/5 but was higher than usual in viewership, with 3.549 million. Overall, The Simpsons had, opposite it, around a 45 million audience on broadcast TV to compete with, the highest competition so far this season. In catch-up news for the previous episode, “Pork and Burns“, it reached 3.7 after gaining 0.2 (6% of original audience) after three days of catch-up, to become the fourth most-watched show in 18-49s for the week. And unusually for The Simpsons, it made the top 25 in most-watched broadcast shows in overall viewership, coming in 24th with 8.570m, gaining 383,000 (5% of original viewership). In UK ratings, the first two episodes of the season achieved 529,000 (including those watching on +1) and 655,000 (excluding +1) figures respectively, after seven days of catch-up. It’s rerun central on Fox next Sunday night and “Miss Universe” is on the week after, so I’ll see you when I see you. And apologies for the post being published a day later than usual; the final TV ratings were delayed until today due to Martin Luther King weekend.